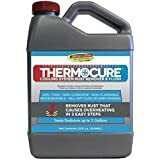 Thermocure TC001 Coolant System Rust Remover - 32 oz. Once the crack or hole has been located, the microfibers instantly begin to mesh together within the gap, building a seal literally fiber by fiber to stop the coolant leaking through the gap. 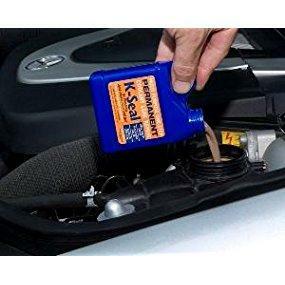 Once the microfibers have sealed and fixed the leak, a combination of exposure to either the external atmosphere or the gases within the combustion chamber and the heat within the cooling system and engine causes the K-Seal formula to cure. This results in an extremely strong and permanent seal able to withstand even the high pressures from the combustion chamber. 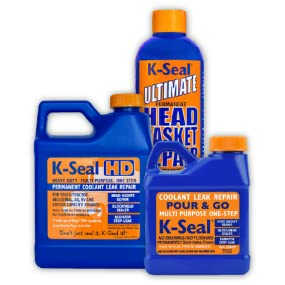 This is how K-Seal Ultimate is able to repair head gasket failures, even where the cooling system is being overpressurised by exhaust gases entering the system. 5.0 out of 5 starsMy skepticism was unfounded, thank God!! First, before my review, let me give you a little background. I am an employee at AutoZone, but I do my work honestly and do not try to push sales in what I don't believe in. We just had a sale of some crud that I wouldn't sell to my worst enemy, so I didn't. The only time I will is if a customer is adamant that, say, 20W50 will work fine for a 0W20 application. I also had a leak in my 2003 Hyundai Santa Fe with 2WD in the cooling system that no one could find, but that it would leak out in a matter of two days. I was told by various mechanics that the best (and really only) course of action was to replace the radiator. Well, after 1 month of buying a crapton of coolant and then running sans coolant for 6 more months (except for long trips where I'd at least put in water), I finally came up with enough money to buy a radiator. So I did, despite my perfectly-functioning themometer never going into the red without coolant no matter how hard I drove no matter for how long...a testament to the bulletproof nature of the 2.4L Hyundai 4-cylinder engine. As is the fact that my last engine went 45 miles sans oil and with a bent/thrown rod. That's another story, one from before I knew ANYTHING about cars. 1. A very low price. $15 full price compared to other competing products ranging from $30-$60. 2. Billed as not just a stop leak for the radiator, but the head gasket & heater core and pretty much everything else relating to the cooling system. Since I had no idea where this leak was, this was important to me. 3a. A literal "Pour-N-Go". Pour it in with existing antifreeze, let it idle for a little bit (5-8 minutes, compared with similar products' 50-ish) AND no need to flush afterwards. You can absolutely leave it for the remainder of the coolant's lifespan. 3b. Touching further on 3a, it is actually a good idea to leave it in "for future repairs." Preventative maintenance to a T.
4. Small size. Usually I'd say bigger is better, but for additives where [grossly] overfilling can be a dangerous/hazardous issue, something that does its job while taking up a small amount of space is very important. ...however, I highly believed that it would not work & I'd've just wasted my money. In my training at AutoZone, I was taught that if your coolant was leaking out completely in faster than 2 weeks, then stop leak was more than likely a waste of money. If I was LUCKY, my coolant would stay in for 2 DAYS. I had recently replaced my radiator cap, which kept it from leaking out within half a day and making steam come from under the hood. So I didn't need to, but I would recommend you replace your radiator cap before you try this, or if you know it's bad enough, in conjunction with the K-Seal unless you've replaced your radiator cap within no more than the past 2 years. I literally did this in the parking lot of AutoZone on my day off with my store manager and other fellow coworkers watching. Here's what I did, after grabbing my funnel specifically for adding coolant. 1. I topped off my coolant reservoir with fresh coolant (since mine was all gone) to the full line with the engine completely cold. It's a good idea to wait 30 minutes or more for this to happen after driving. Luckily, I had a suitable place to loiter and cause mischief and make conversation. I do recommend you let your coolant run completely dry (or at least down to the "LOW/FILL" line). I had the luxury(?) of not needing to wait for that, the coolant was pre-gone a long time ago. 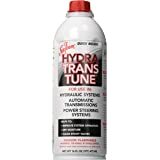 Just get the cheapest compatible 50/50 coolant you can get for your vehicle; they are literally all the same with literally zero difference between any brands besides packaging (and maybe Peak's "Lifetime Radiator Guarantee"). The only difference that matters is what color your coolant is. If your coolant is completely gone and you drive a GM vehicle, there is no harm in putting in the yellow coolant instead of the pink/red Dex-Cool stuff. Just don't mix yellow & red actively. Also, just get it pre-mixed. It'll be exactly half coolant and half DILUTED water. Don't chance mixing it yourself, especially if you don't have to. 2. I shook the bottle of K-Seal vigorously for a little over 30 seconds. YOU MUST SHAKE IT. So shake it like a Polaroid picture! Have fun while doing it, too! Dance while doing it to make fixing your radiator fun! 3. 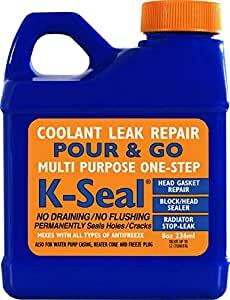 After placing my funnel in the coolant reservoir again, I simply poured in the K-Seal. It ended up being a noticeable amount past the full line, but nothing too serious, and since the coolant is now less parts coolant, likely no BFD. 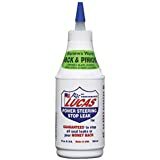 The bottle states that you can go directly through the radiator cap or use the overflow reservoir, but that the reservoir is going to take a little longer. I opted for the reservoir in case there were any leaks from my reservoir to the actual radiator. This is what I would recommend doing only unless you simply do not have a reservoir tank. Sure, it takes a little longer, but why would you want to rush perfection? 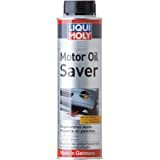 5-10 minute oil changes are scams - it takes 20-25 minutes at least to properly (and thoroughly) do an oil change. Same applies here. For best results, take the extra time now so you don't have to take even more time later. 4. Run your engine for 20 minutes (since it takes longer through the overflow tank). It'll take 5 minutes for your engine to reach operating temperature. After that 5 minute mark, run your heat with the A/C on full go for 10 minutes (if it's getting too hot in there, you can always step outside. I was for almost the entire portion of this anyhow), then shut it off for the final 5. The heat & A/C go on so that the K-Seal can circulate through the heater core. Mine to my knowledge wasn't leaking, but regardless of whether your floorboards are soaked in coolant or not, it's probably a good idea to do this, because, well, read the last part of Step 3. Oh, and make sure you have enough gas in your tank for this, obviously. 1/4 of a tank should be plenty, so if it's under 1/4 a tank, get it up there. 5. Drive, and try to drive a little aggresively. Get out on fast roads and hit the highway. Drive for how long you like, I drove for about 10 miles in a circle round back to AutoZone. 6. Park your car, let it sit for 5-10 minutes, pop the hood, and (hopefully) be amazed at seeing your coolant still at the level you left it. 7. Go about your day(s), checking routinely, and especially take note of where you're at after 100 miles. It may have continued leaking a little bit, but hopefully not down past the low line. Mark the level with a fine-line Sharpie for reference after another 100 miles. 8. Check again after another 100 miles. See that it doesn't budge. If it had leaked out a little before this but hasn't budged since, top off to the full line, because you're patched up for good! If it's still leaking, constantly monitor until/if it gets down to the Low line, top it off, keep monitoring, and if it gets to the Low line again, you have a leak too big for this to handle, surprisingly. 9. If you're all good now, return that +$130 radiator and use it for a vacation/weekend getaway that you can now afford to drive a long distance to! 10. Write your review on Amazon, letting the good people of the intrawebs know of your experience. So, in conclusion, this product completely worked for me when I did not at all expect it to. 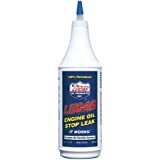 It is a darn good product at an amazing price, and therefore definitely worth a shot before replacing components of your engine cooling system. I had good results, and anticipate continued performance. The only negative I could possibly see from my experience was that it took a little longer to completely do its job than I had anticipated, but I had a huge leak, and very noticeable results were immediate. I have not noticed anything having been clogged, as is a common concern with these types of products. If anything does go wrong, I shall be sure to note it in this review and adjust my rating accordingly. Please, if you found this review helpful, make sure you click the "Helpful" button!! 709 people found this helpful. 5.0 out of 5 starsHoly crap, it actually worked!!! I was very sceptical, and a little worried about this causing further damage to my 2003 Honda civic. I actually ordered this just so I could get the car to the mechanic shop for a new head gasket, because it overheats very quickly. I finally just poured it in and let the car idle for about a an hour while keeping an eye on temp gauge. Temp never went over half way, heater blew hot air once again, and car idled better... So i took it out on an aggressive drive for 15-20 minutes, drove great, had heat, and engine temp stayed below half. My head gasket was diagnosed as bad because exhaust gas was getting into coolant and blowing it out my overflow. That has also stopped. I am truly amazed by this little bottle... it saved me over $1000.00! I was not paid or given this for free in exchange for a review, just really impressed and hopeful others have a similar result after using k-seal. I was skeptical, but desperate. First off, be prepared for the size - somehow I thought it was the size of a coolant bottle - it's only a tiny 4"x4" bottle (see all photos in the listing). I have a 2002 Land Rover Discovery II SE - I'd already spent $350 fixing what I thought the problem was and no success. It wasn't hoses, and seemed to be coming from under the engine - gasket? IDK. I researched "K-Seal" and found that it was originally formulated for Land Rover K Series vehicles, so I felt better about giving it a try. I watched several YouTube videos and came across one that advises: 1. You don't need to pour the whole bottle. 2. Shake for 1-2 minutes (there are bits of something or other like metal or whatever inside) and mix with coolant and then pour into coolant reservoir tank. I had an active leak that dripped under the drivers side every 5 seconds!! I moved the vehicle about 2 feet, placed a fresh piece of cardboard box to determine old -vs- new drips. I used a clean plastic 2 liter soda bottle and poured 1/3 of K-Seal and filled the rest of the way with coolant. Started it up and waited - got out to check and there was some leaking. Kept it running - didn't press the accelerator, just let it idle. After about 5 minutes a slower leak and the coolant was low in the reservoir - so I did the same with an additional 1/3 mixed with coolant. I let it idle another 5 min and checked. NO LEAK! I was still really nervous about these particles going all through my system! I backed the Land Rover down my long driveway so that it was on an incline with the hood higher than the rear (so coolant could properly fill the system,). I was a block from home when coolant just started pouring out. So it was nearly empty. I filled it with coolant and let it burp up any air bubbles - then took it around the block. Immediately, there was a sharper response to the gas pedal, it wasn't stuttering anymore - it was almost chomping at the bit to go forward once I took my foot off the brake at a green light. I was skeptical how and if this product would work....and I was blown away after the first day. My car had been slowly leaking coolant after my undercarriage completely froze one night driving home in a spring blizzard. I had been just refilling the coolant, but more recently the leak started to get much worse to where I was refilling coolant weekly. I added k-seal this morning, drove home with the AC blasting and let the car sit on my drive way. I let the car sit for 30 min or so, and NO LEAK! Normally about a water bottle full would have left, so I am just blown away. I will update post if anything changes but all smiles so far.